With less than 1mm of rain a year, the Atacama Desert in Chile is the driest place on the planet. But backpacking here, you’ll be flooded with otherworldly things to do. From salt mountains millions of years old to the cutting-edge Paranal Observatory, a trip to the Martian landscape of the Atacama is not to be missed. The desert is a 1,255 kilometre-long wedge between the Pacific Ocean to the west and the Andes to the east. Its unique position creates the high pressure and the lack of air moisture that join forces to make the surreal landscape in the shadow of the Andes. San Pedro de Atacama is the backpacker hangout to head for. Heaving with travel agencies, especially on Caracoles, the town is set up to take visitors out to Moon Valley, the Salt Lake, and the desert's various lagoons and geysers. With so many visitors, it’s very much a resort town, with some great food and lively wine bars to keep you busy when you’re not on a tour. The easiest way to get there is to hop on a bus from Calama, Chile, or from Uyuni in Bolivia. San Pedro de Atacama is a popular stop, but prices tend to be cheapest during the spring, the low season. Moon Valley is about 17km from backpacker central San Pedro, and its imposing volcanoes and sprawling salt deserts make it about as far from the modern world as you can get. You’ll need to make an early start from your hostel in San Pedro, but the reward is an incredible sunrise of sensational colours that transform the valley into vibrant, deep shades of red and orange. The bone-dry lakes here make the landscape particularly captivating under a full moon, when the dense sand formations absorb the moon's mysterious, faint-white shades. Volcanoes, flamingos and incredible salt formations make a trip out to the Salt Lake something truly spectacular. For unique landscapes that are a treat for any photographer, this is the place to be. 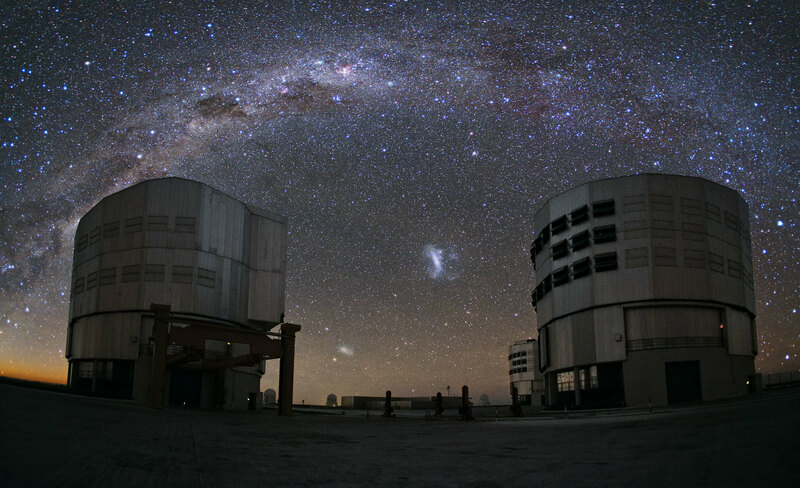 The Atacama Desert has the clearest skies in the world, and attracts astronomers from all over the world. Just lying on your back at night in the Atacama Desert is starry enough for most – you’ll be amazed at how huge the sky above you feels – but if you want to take stargazing to the next level, the Very Large Telescope is the place to go. Every Saturday at 09.45 and 13.45, there are tours of the Paranal Observatory and its 8.2m telescope.